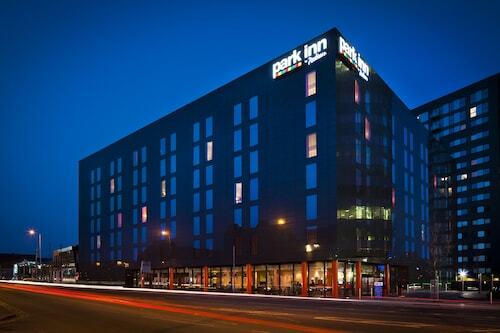 Situated in the business district, this hotel is 1 mi (1.6 km) from Portland Basin Museum and within 6 mi (10 km) of O2 Apollo Manchester and Piccadilly Gardens. The Gay Village and Canal Street are also within 6 mi (10 km). Ashton West Tram Stop is 8 minutes by foot and Ashton Moss Tram Stop is 8 minutes. 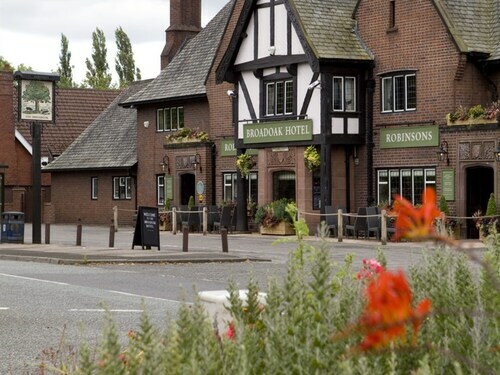 Located in the heart of Ashton-under-Lyne, this inn is 1.5 mi (2.4 km) from Portland Basin Museum and within 6 mi (10 km) of The Monastery and Manchester Velodrome. O2 Apollo Manchester and Piccadilly Gardens are also within 9 mi (15 km). Manchester Ashton-under-Lyne Station is 14 minutes by foot and Ashton-under-Lyne Tram Stop is 17 minutes. 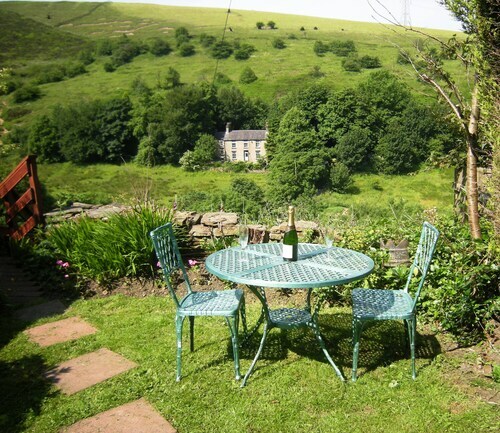 Situated in a rural location, this romantic property is within 9 mi (15 km) of Dove Stone Reservoir, Portland Basin Museum, and The Monastery. Belle Vue Greyhound Stadium and Etihad Stadium are also within 9 mi (15 km). Manchester Mossley Station is 20 minutes by foot. How Much is a Hotel Room in Ashton-under-Lyne? 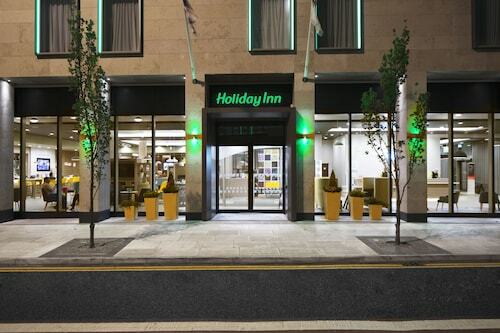 Hotels in Ashton-under-Lyne start at $53 per night. Prices and availability subject to change. Additional terms may apply. Chasing a great place to rest your head when seeking inspiration in Ashton-under-Lyne? Travelocity boasts a wide range of modern hotels and rooms. 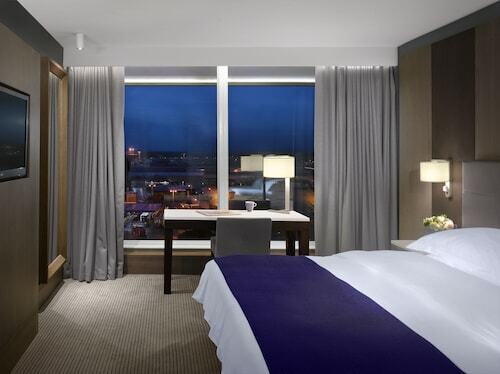 Within a convenient driving distance of the downtown area of Ashton-under-Lyne, you can select from 16 memorable rooms. Rooms you can find within walking distance of the heart of Ashton-under-Lyne, are the The Broadoak Hotel and Barton Villa. The Dreamhouse Manchester Bloom Street is around 8 miles (12 kilometers) from the heart of Ashton-under-Lyne. Also, the The Lowry Hotel is situated 7 miles (12 kilometers) away. 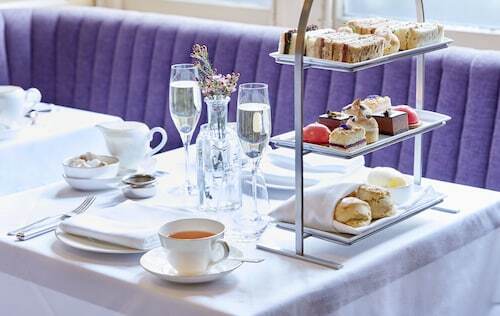 Or, you could book the Dreamhouse Manchester Deansgate or the SACO Manchester - Piccadilly. After you have got to know Ashton-under-Lyne, save some time to uncover the diverse activities of the Greater Manchester area. Fall in love with Greater Manchester's forests, rivers and streams. You could also go to many of its ruins. Popular activities in this region of United Kingdom include ice skating, hiking and horse riding. Consider spending a few hours enjoying Lyme Park and Hat Works Museum of Hatting, which can be found in Stockport, 8 miles (13 kilometers) to the south of Ashton-under-Lyne. The Bredbury Hall Hotel & Country Club and Britannia Hotel Stockport are just some of the accommodation alternatives in Stockport. 9 miles (14 kilometers) to the west of Ashton-under-Lyne, you'll find Salford, home to the Great John Street Hotel and Radisson Blu Edwardian Manchester Hotel. When you visit Salford, set aside a little time to visit the Imperial War Museum North and University of Salford. Before you head home, consider spending a few hours experiencing the high energy with fellow lovers of sports at a community game. Old Trafford is located 9 miles (15 kilometers) to the west of Ashton-under-Lyne. Book Travelocity-listed accommodation nearby to the sporting action at the Quay Apartments or the The Midland - Manchester. Manchester Airport is a primary airport for arriving in Ashton-under-Lyne. It's located 13 miles (21 kilometers) from the city center. 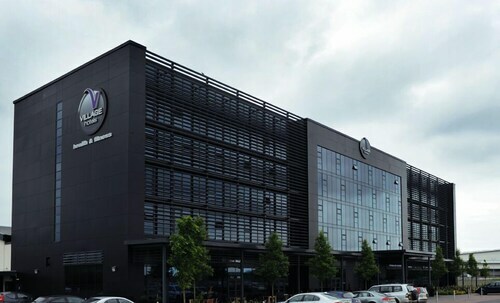 If you would like to find a base nearby, check out Radisson Blu Hotel Manchester, Airport or Manchester Airport Marriott Hotel. Close to Etihad stadium and to the centre , around many restaurants .